Watching beets grow feels a bit like getting a behind the scenes view of the action. Like onions, they grow near the top of the soil, which means you can watch them size up. 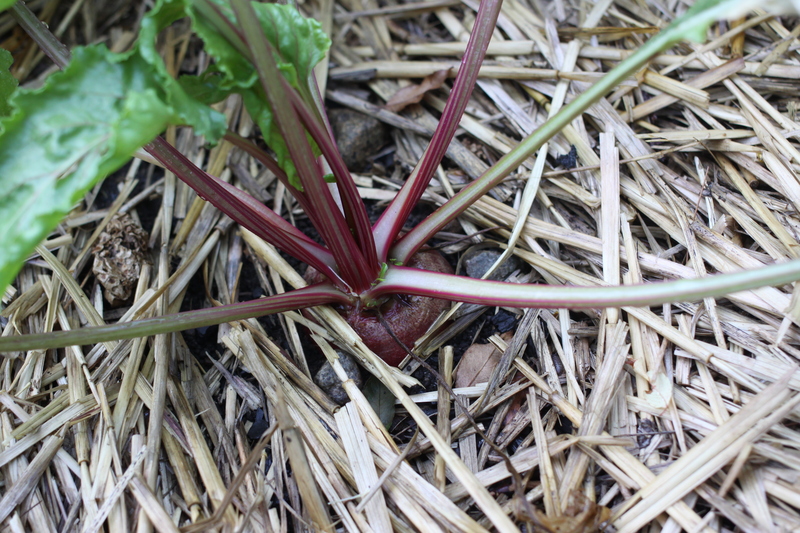 This can be a problem for yellow or white beets, because they can become tough if exposed to sun. That’s easily remedied by adding more soil or mulch as they shoulder up out of the ground.